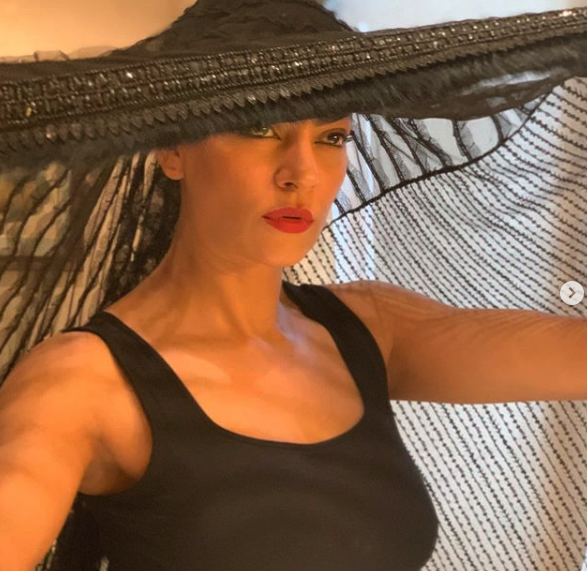 Sushmita Sen has been our childhood girl crush since she received the title of Miss Universe and we don't think there is going to be any change in that anytime soon. She is so motivated, fun and full of life always that we wish we could become a trendsetter like her. She has always been showing us about how it is extremely important to love your own self regardless of what the society thinks. She has played a major role in breaking stereotypes by not getting married, adopting two gorgeous daughters and falling in love with someone younger. But that's not all we adore about her! We recently spotted her having a gala time at a wedding this weekend. Like always she is, Sush was the most energetic, stunning and crazy guest at the shaadi. 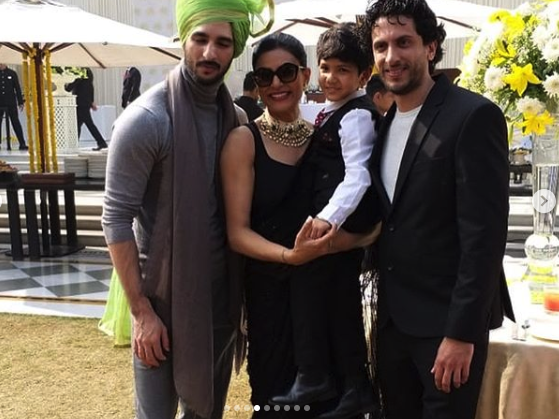 The function was that of Sushmita's nephew who got married in Delhi the last weekend. Well, what won our hearts was that she played the role of the most fun-loving maasi/bua at the ceremony. She danced, laughed and had a great time with the entire family. 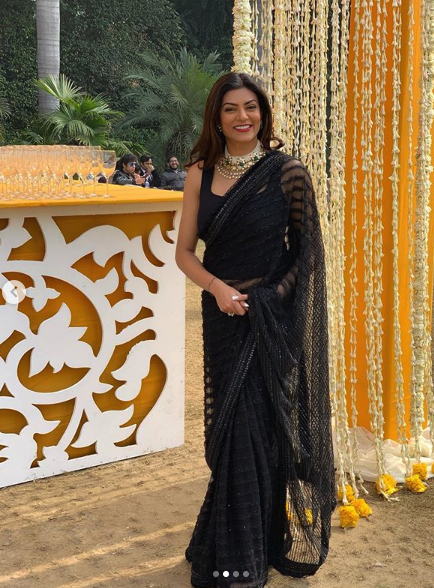 Sushmita was dressed in a beautiful black embroidered saree by designer Neeta Lulla and she looked jaw-droppingly fancy. To complete her traditional look she wore a pearl and emerald polki set by Anmol Jewellers that complemented her. Black is having its own time for a few months now. Various Bollywood celebs like Shraddha, Alia and many more were spotted in black coloured outfits at weddings and we think its now time that we start adding them to our wardrobe too. 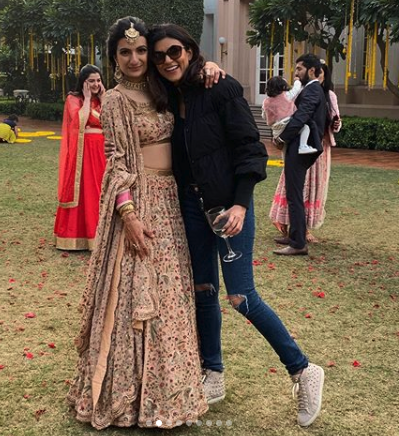 She also shared a few pictures and videos from the event on Instagram wherein she is dancing on her popular hit track Chunari Chunari with the groom. That moment almost took us back to our childhood and we just couldn't stop staring at her. Not only this, but she also taught some other guests at the venue to do some Punjabi dance moves so that they can don't miss out on the fun. Well, if you need to learn how to dance your heart out then take a look! Nevertheless, thanks to the gorgeous diva for giving us some subtle yet striking fashion goals for the upcoming weddings this year!